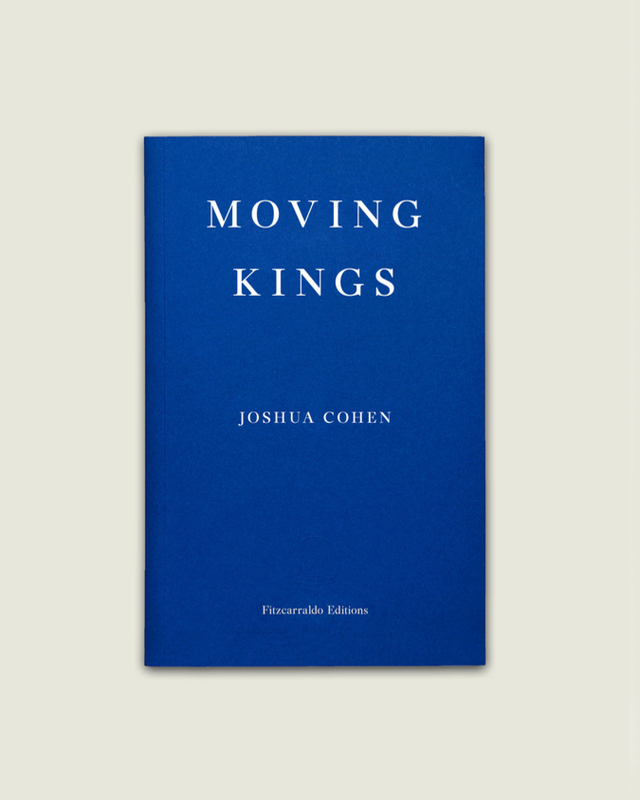 One of the boldest voices of his generation, Joshua Cohen returns with Moving Kings, a propulsive, incendiary novel that interweaves, in profoundly intimate terms, the housing crisis in America’s poor black and Hispanic neighborhoods with the world’s oldest conflict, in the Middle East. The year is 2015, and twenty-one-year-olds Yoav and Uri, veterans of the last Gaza War, have just completed their compulsory military service in the Israel Defense Forces. In keeping with national tradition, they take a year off for rest, recovery, and travel. They come to New York City and begin working for Yoav’s distant cousin David King – a proud American patriot, Republican, and Jew, and the recently divorced proprietor of King’s Moving Inc., a heavyweight in the Tri-State area’s moving and storage industries. What starts off as a profitable if eerily familiar job – an “Occupation” – quickly turns violent when they encounter one homeowner seeking revenge. Joshua Cohen was born in 1980 in Atlantic City. He has written novels (Moving Kings, Book of Numbers), short fiction (Four New Messages), and nonfiction for The New York Times, Harper’s Magazine, n+1, London Review of Books, The New Republic, and others. From 2001 to 2007, he worked as a journalist throughout Europe. In 2017 he was named one of Granta’s Best of Young American Novelists. He lives in New York City.